As the fourth largest city in Oregon, Gresham has a population of over 100,000. There are 10 funeral homes serving a number of different faiths for those residing in the city. 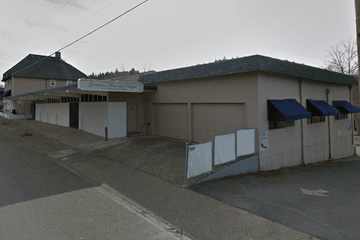 Since only just over one-third of the population of Gresham follows a religion, funeral homes are likely to offer secular as well as religious services. Just over half of those practising religion are Catholic or follow another Christian faith, with a small number of Latter Day Saints. There is also a small Jewish and eastern faith population as well as some followers of Islam. Therefore, funeral homes in Gresham will be able to meet your needs for every kind of funeral service. Main churches include Pathway Church, a Baptist Church on Division Street, East Hill Foursquare Church on N Main Avenue and St Henry Catholic Church on NW 1st Street. Followers of other faiths may need to find their relevant place of worship outside of the city. Gresham is served by two main cemeteries. These are Gresham Pioneer Cemetery on SW Walters Road and the neighbouring Forest Lawn Cemetery & Mausoleum. You can ask your chosen funeral homes in Gresham for information about securing your plot and making all the necessary arrangements for your loved one. Search by area or ZIP code now to find local Gresham funeral homes near you. Order search results by best rated, most reviewed or nearest to quickly and easily compare Gresham funeral homes. Click on a funeral home’s profile to read customer reviews, learn more about the services they provide, and get in touch to begin making funeral arrangements for your loved one.